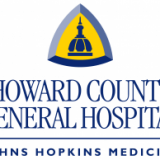 Maryland based boutique healthcare executive search firm Summit Talent Group works with Howard County General Hospital Johns Hopkins Medicine (based in Columbia, Maryland) to place C-Suite, interim, and executive talent. Their mission is to “Provide the highest quality care to improve the health of our entire community through innovation, collaboration, service excellence, diversity and a commitment to patient safety” is carried through in all that we do. If you would like to learn about opportunities at HCGC, submit your resume here. We look forward to hearing from you.